The results of the November 2018 midterm elections could have an impact on environmental policy and enforcement. Less noticed than the takeover of the U.S. House of Representatives by the Democrats, but also significant, were victories by Democrats in four state attorney general (AG) contests. Nationwide, the voting shifted the balance in favor of Democrats, who now occupy 27 state AG seats to 23 held by Republicans. 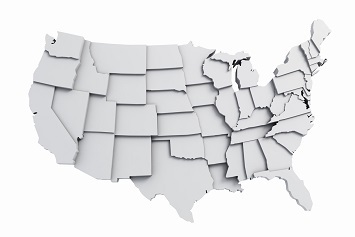 State AGs are primarily involved in enforcing the laws within their individual states. Many have also been aggressive in taking stands on national environmental issues, and it is common to see Republican AGs from red states suing the federal government over regulations that burden industry while AGs from blue states routinely challenge major deregulatory actions. Dana Nessel, Michigan. Nessel has attracted the most environmental coverage by announcing that she would drop the state from four cases in which Republican ex-AG Bill Schuette participated, in several instances without the support of Rick Snyder, the ex-governor and also a Republican. Two cases challenged the Obama administration’s Clean Power Plan (West Virginia v. EPA and North Dakota v. EPA), which governs greenhouse gas emissions from fossil fuel power plants. The third case, Murray Energy Corporation v. EPA, challenges a supplemental finding by the EPA related to the Agency’s Mercury and Air Toxics Standards (MATS), which govern emissions of mercury and other hazardous and toxic substances from power plants. The fourth case, American Petroleum Institute v. EPA, challenges rules governing the emissions of methane from oil and gas operations. Aaron Ford, Nevada. “I’ll take on scammers who rip off our seniors, insurance companies who deny care, polluters who poison our air and water, and criminals and drug dealers who prey on our families,” said Ford. In one of its first environmental actions, Ford’s office agreed to settle with both Fiat Chrysler and Robert Bosch over illegal defeat device software intended to circumvent applicable emissions standards for certain air pollutants. Bosch is alleged to have supplied and programmed the software used by Fiat Chrysler and Volkswagen in diesel vehicles. The two agreements will provide compensation for consumers who purchased or leased Fiat Chrysler vehicles allegedly containing defeat devices, as well as total payments of more than $171 million to 52 jurisdictions nationwide. As a result of these agreements, the state of Nevada will receive a total of $1,845,900. The proposed settlements with Fiat Chrysler follow earlier comprehensive settlements reached between Nevada (along with other state, federal, and private actors) and Volkswagen for similar allegations. Josh Kaul, Wisconsin. Following the election, which also saw Democrat Tony Evers win the Wisconsin gubernatorial race, the two men faulted the decline in environmental enforcement under the previous 8 years of Republican governance and pledged to do better.